Philip Morris International (PM) said its revenue for the fourth quarter fell 9.6% to$ 7.5 billion, falling short of the projection of $7.32 billion set by analysts. On an adjusted basis, the maker of Malboro cigarettes earned $1.25 per share, compared to $1.16 per share that the street had expected. 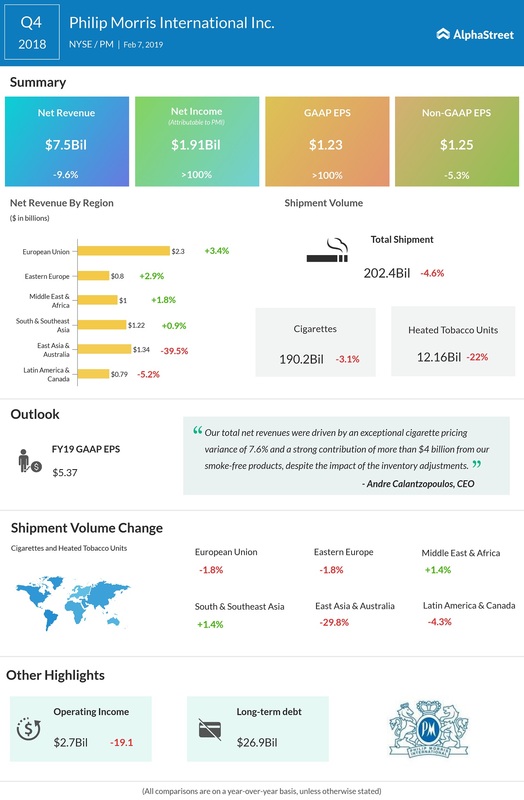 Cigarette and heated tobacco unit shipment volume fell 4.6% in Q4 to 202.4 billion units. Cigarette shipment volumes declined 3.1%, hurt by weakness in East Asia and Europe. PM shares gained over 4% during pre-market trading. The stock has declined about 24% in the past 52 weeks, hurt by the increased crackdown on tobacco products. 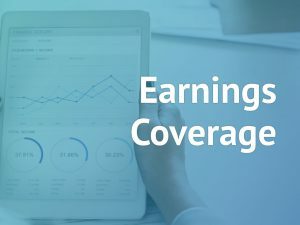 For full year 2019, reported diluted earnings per share is forecast to be at least $5.37, representing a projected increase of at least 5.7%. 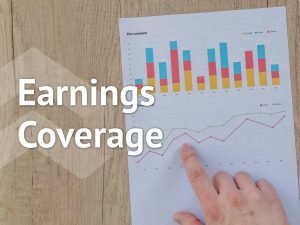 Apart from the full year guidance, Philip Morris has announced three targets to be achieved between 2019 and 2021. These include net revenue currency-neutral CAGR of at least 5%, as well as Adjusted EPS currency-neutral CAGR of at least 8%. The company also aims to achieve heated tobacco unit volume of 90-100 billion units by 2021.